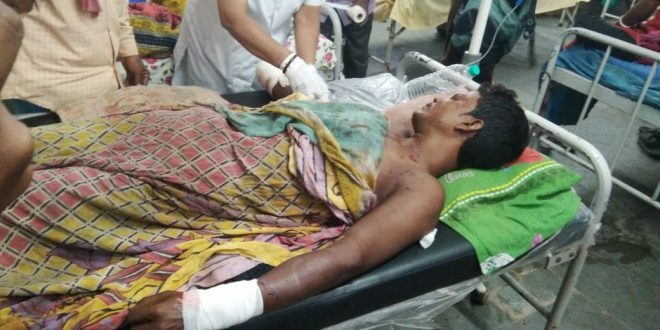 A person was killed in a bomb blast that took place in the Buxirhat Falimari area of ​​Assam-Bengal Frontier, while one person was seriously injured and admitted in MJN Hospital in the incident. The name of the person undergoing treatment in the MGN Hospital is stated as Rafikul Meer. At the same time, the deceased has been named as Sabeq Ali Shaikh. Meanwhile, Buxirhat police has started investigating the incident. Local sources have stated that the two fishermen were making bombs to kill fish, when suddenly the bomb exploded, and the incident took place. Police is investigating if there was any other reason behind this.